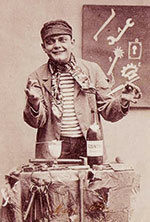 On January 8, 1869 James Lansdowne Norton was born into a religious, middle class family from Birmingham, England. By the late part of the 19th century Birmingham was in the grip of a second Industrial Revolution, and the city’s growth and prosperity was solidly based on the metalworking industry; in fact it known as the “City of a thousand trades” due to the wide variety of goods manufactured there, ranging from nails and screws to guns, tools and cutlery. By the time he was 12 Norton had built a working model of a steam engine, no doubt inspired by the industrial boom around him. On finishing primary school Norton went on to complete an apprenticeship as a toolmaker and soon wound up in a shop manufacturing bicycle chains; it was the start of his involvement with the two wheeled industry. But his true interest was in the development of the bicycle rather than the simple production of its parts, and he realized that his future lay in engineering. Unfortunately Norton suffered from poor health for most of his life, not unusual considering the pollution and living conditions in an industrial center of that era. Large factories had become increasingly common towards the end of the century as the engineering industries gained importance, and despite efforts by the city to modernize many of Birmingham’s residents still lived in overcrowded and unsanitary conditions. When he was 19 he came down with severe rheumatic fever and doctors advised him to take a trip New York for convalescence. He recovered from the fever itself but his health continued to deteriorate to the extent that he aged prematurely, leading to his nickname Pa (as in Grandpa). In 1898 Norton established The Norton Manufacturing Company in Bromsgrove Street, Birmingham. 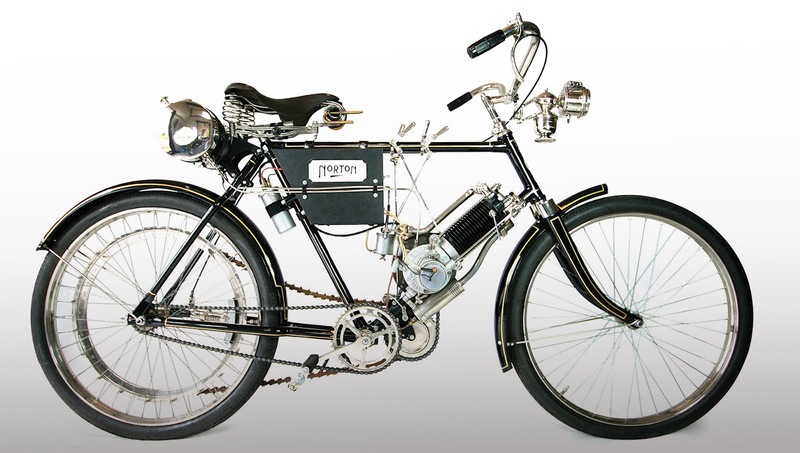 Like Enfield and Triumph, (which would later play a major role in the company) Norton first started production of bicycle parts and soon followed with complete bicycles. 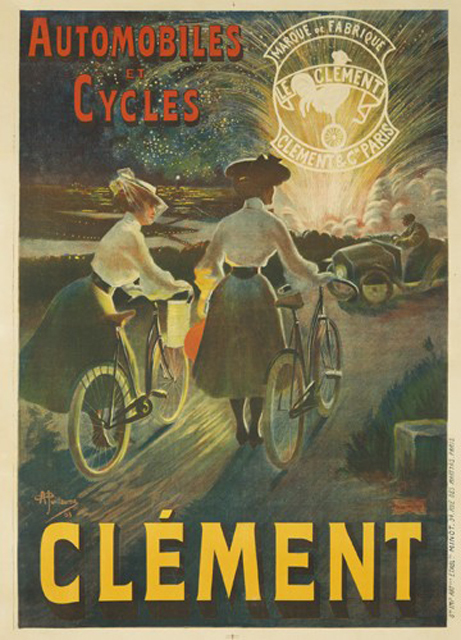 But at the turn of the 20th century motorcycles were already well established as the future of almost every bicycle manufacturer. 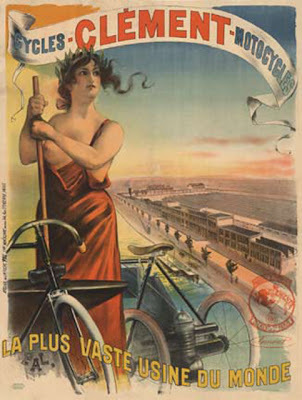 Gustave Adolphe Clément had started a bicycle manufacturing company in France in 1876, and had done well with it thanks both to his reputation as a racer and to his investments in the sport. 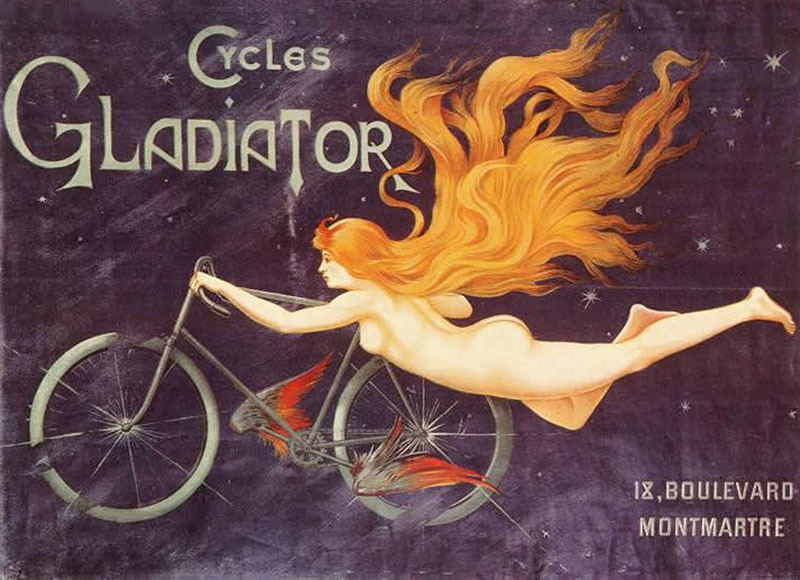 In 1896 he purchased the Gladiator Cycle company which was producing a naphtha powered internal combustion engine for use on tricycles. By 1902 Clément-Gladiator cycles was offering a motorized bicycle with a 142 cc OHV engine bolted to the frame. 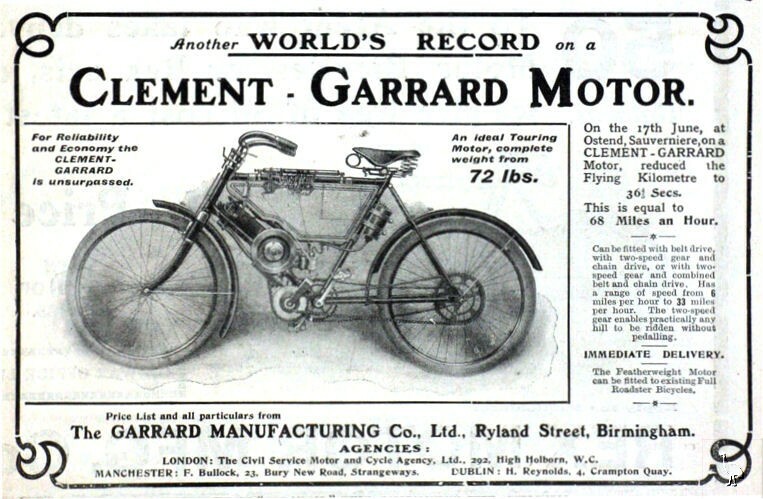 Charles Riley Garrard, a wealthy entrepreneur and friend of Norton’s worked a deal in 1902 to import Clément engines which he would build into bicycles and market as the Clément-Garrard. Norton was soon building their frames. 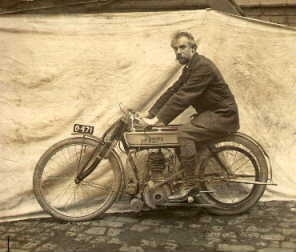 In 1902 Norton made his first powered motorcycle, the “Energette” with a Belgian made single-cylinder 143cc Clément engine similar to the Clément-Garrard. With a 55-mm bore and 60-mm stroke, the 4-stroke single featured an automatic inlet valve and mechanical exhaust valve configuration and weighed in at just 70 lbs. Norton claimed that it was capable of doing 20 mph (the legal limit at the time was 12 mph). A fully restored example of the first Norton motorcycle is on display at the National Motorcycle Museum near Birmingham. But in truth this was still little more than a bicycle with a “clip on”engine, and it wasn’t a particularly remarkable machine beyond its historical context. As early as 1903 Norton had begun experimenting with larger capacity V-twins, mainly using French Peugeot engines. The name “Energette” was quickly dropped, and in November a small advertisement appeared in The Motor Cycle with the Norton banner offering “1 1/3 to 4 1/2 single and twin cylinder machines.” The smaller unit was likely a Clément which had begun doubling up their single cylinders into V-twin units, but the larger engine was almost certainly a Peugeot. By 1904 Garrard’s business was in decline and Norton decided to concentrate on building his own machines rather than continue supplying the frames and components for the Clément-Garrard. Within two years he had launched a diverse line of 7 models, ranging from a 200cc single cylinder lightweight Clément machine to a powerful 985cc Peugeot twin. All of these bikes were belt driven, and none of them featured a clutch or gearbox: the drive went straight from a pulley on the shaft to the rear wheel. The machines had to be push started, and the engine died when the bike stopped: this in itself was something of a dicey issue since the brakes were off a bicycle and served more as decoration than function. The throttle was operated by a lever rather than the familiar twist grip and a lifter was fitted to the exhaust valve which allowed it to be raised off its seat, channeling the firing stroke down the exhaust pipe and allowing the engine to idle while coasting. 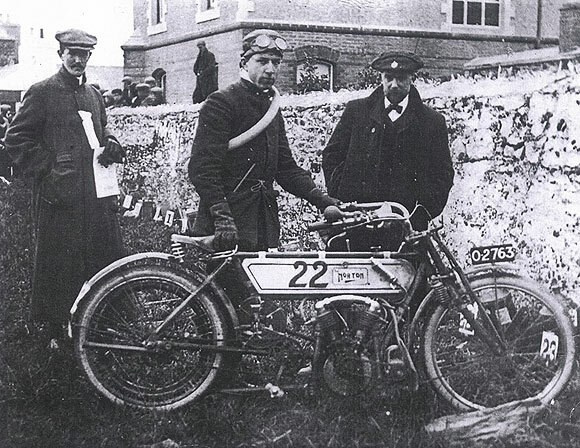 Rem Fowler at the 1907 Isle of Man TT. J.L. Norton at right. It was with a Peugeot 700cc engines that Norton won their first TT in 1907; Rem Fowler took the twin cylinder class running a 5hp V-twin unit which had been prepared by Norton himself, who was on the island for the race acting as the pit attendant. That same year Norton decided to resurrect the Energette, this time with a little 274cc V-twin from Moto Rêve in Switzerland. 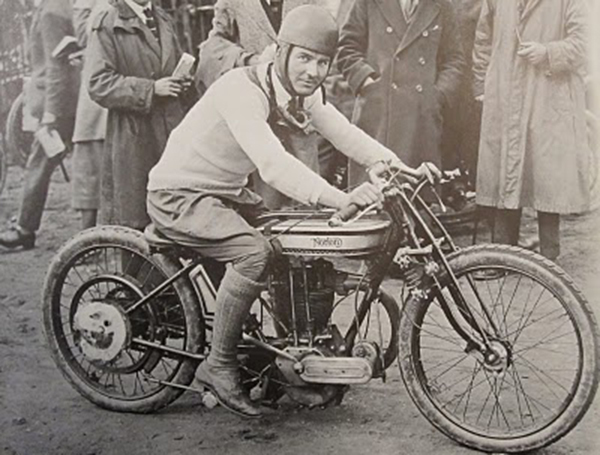 By 1908 Norton was spending most of his time on competition: he was invited to meet with the ACU to discuss the future of the TT races, and Norton motorcycles were placing high in hill climbs and on the track. 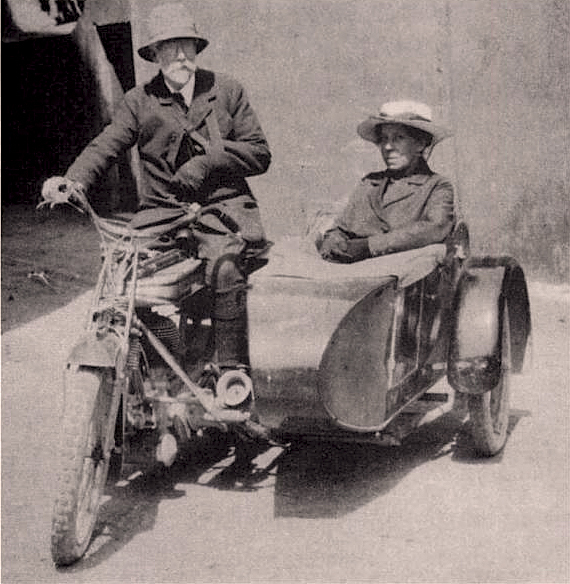 In 1909 Norton decided that a big single cylinder was the approach for a sidecar mounted machine, and the company’s first completely original machine, the Model 1 Norton, was produced in 1909. The Model 1 had a 633-cc single cylinder side valve engine, commonly known as the big four in reference to the 4 horsepower class the engine was calibrated to (using current horsepower calculations the engine actually produced around 14 hp). This engine remained in production right up until 1954. At the time the Norton “factory” on Floodgate St. in Birmingham was nothing more than a three story house: engine production took up the first floor, the second was presumably reserved for office space and frames were built on the top floor. There were no machine tools or enameling facilities so all that work was “farmed out”. Yet by 1910 “Pa” Norton was a familiar face to practically everyone involved with British motorcycles, and many looked upon him as the ‘father’ of the industry despite the small number of bikes coming from the company. The Norton Manufacturing Company wasn’t some vague board of directors in inaccessible offices, it was a friendly and practical engineer devoted to riding. Indeed, he did make it to the race. That year the track was moved from St. Johns to the Mountain course, over the protests of a majority of competitors who considered it too dangerous. To cope with the inclines Norton installed gears on their bikes for the first time, but a seized piston put him out in the second lap and Brewster crashed in the third when the hub gear seized. The American Indian Motorcycle Company swept the field, and quickly began a major sales drive throughout Britain. Norton wrote a bit of a tirade against “The America Invasion -of distinctly American motor cycles- of distinctly American Design- built for distinctly American conditions” in The Motor Cycle later that year, but decline began to set in. The company dropped their line of twins along with their lightweight machines and completely focused on single cylinder machines: particularly a new 490cc machine along with the 633cc Big Four and a standard 496cc bike. Although these were still popular amongst the motorcycle buying public, Norton’s lack of attention to the financial end of the company combined with his focus on designing new machines for competition rather than the “bread-and-butter” stock had begun to show. In the winter of 1911 the company name was changed from Norton Manufacturing Company to simply Norton Motors, and in August 1912 they went into liquidation. 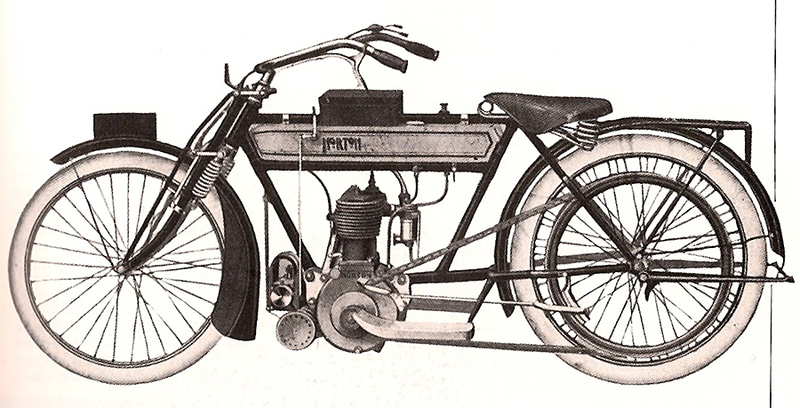 The company was purchased by R.T. “Bob” Stanley, a well known Birmingham businessman with an accessory manufacturing company, and he knew very well that James Norton was the primary asset; Norton may have relinquished ownership but he remained firmly involved with the Norton brand, in particular the racing division. 1916 Big Four, destined for Russia. Sales were down and the resumed production under Stanley was outpacing them to the extent that most distributors were cutting prices. 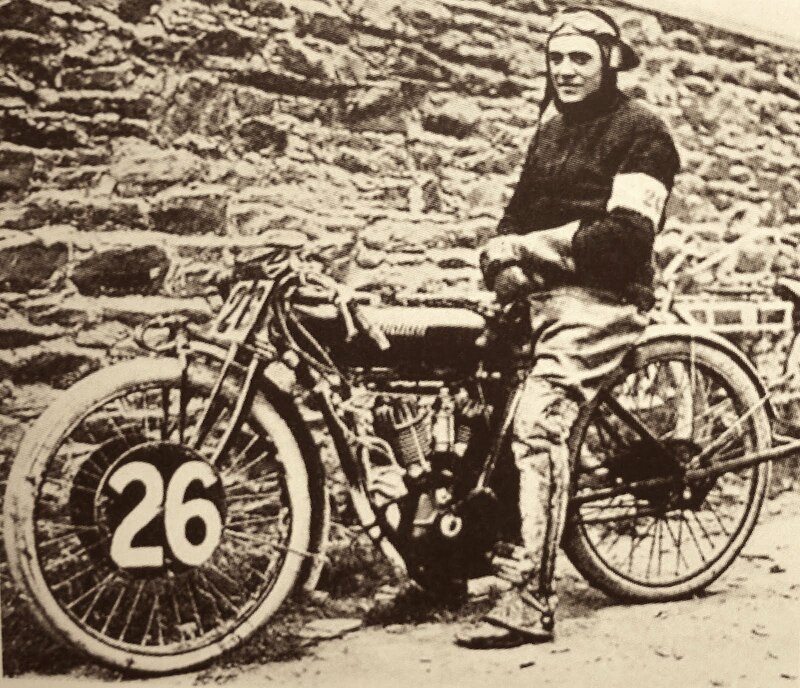 But on the track they were breaking records: September 14, 1912 saw Jack Emerson pulling 127 miles 645 yards in just 2 hours with a 490cc. Norton and in 1914 a 500cc machine clocked 81.5 mph for the first time ever. At the outbreak of WWI in 1914 Norton simply didn’t have the production facilities to make a major contribution, although they did produce a number of motorcycles for the Russian Army. The factory began munitions work instead and soon purchased two more facilities in nearby Aston, but by the end of the war there was almost no stock left and they scrambled to buy back the remaining stockpile of Russian bikes from the government. The public was anticipating a glut of surplus military motorcycles but it never really happened -the ones that did make it to auction were reportedly in terrible condition and seriously overpriced- and this bought the company some time. Their competition, in particular Triumph and Enfield, were already geared up for production. Norton’s health was declining as well: in 1919 he reportedly suffered a “nervous breakdown” brought on by the stresses of the economic situation coupled with crippling rheumatism. Warned by his doctors to adopt a more relaxed pace, Norton tried to distance himself from the company and took up several hobbies including fly-fishing: he also built a number of aquariums in his greenhouse and began keeping fish and reptiles. In the winter of 1921 Norton decided to take a 633cc Big Four coupled with a De Luxe sidecar on a 3000-mile trip to to visit his brother Harry in Durban and tour South Africa’s major cities. Ostensibly a trip to research the “colonial market”, it was in fact an endurance test for both the 54 year old engineer and the motorcycle itself. The route stretched from Durban through Johannesburg, Pretoria, Bloemfontein, East London and Port Elizabeth, eventually ending in Cape Town; despite a particularly severe rainy season Norton refused to give up and take the train back. 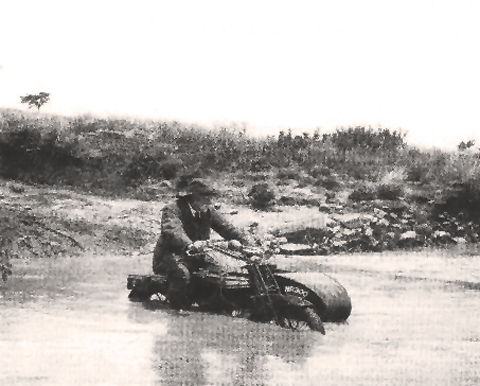 Many of the rivers were in flood and damaged bridges required numerous detours; the back wheel of the bike regularly bogged down and he reportedly resorted to wrapping a bicycle chain around it on some occasions to increase the grip. But despite the hardships the only damage to the machine was a busted sidecar connection bolt; Norton arrived back in Cape Town in early 1922 to a hero’s reception, and the tour was seen as a great reliability trial for the Standard Big Four. 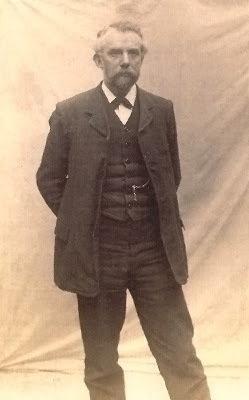 Shortly after his return, James Lansdowne Norton was diagnosed with terminal bowl cancer. 1922 also saw the first of the OHV engines, one of Norton’s pet projects, finally being taken seriously. 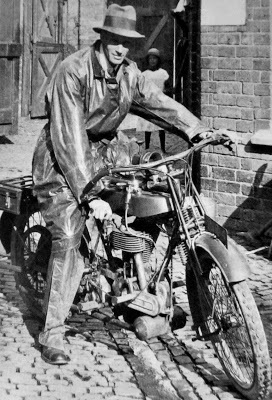 Despite his health problems Norton was still exerting a major influence on the racing end of the company, and this was most evident in his determination to to enter “production models” in the races while other competitors were using specialty machines. The OHV engines were too powerful for the bicycle parts that basically composed the rest of the bike. The company took the “Team Prize” in the 1923 TT along with the hour record, but all the OHV bikes finished without brakes: the rear shoes had worn out by the halfway mark and the tiny front brakes were useless when wet. 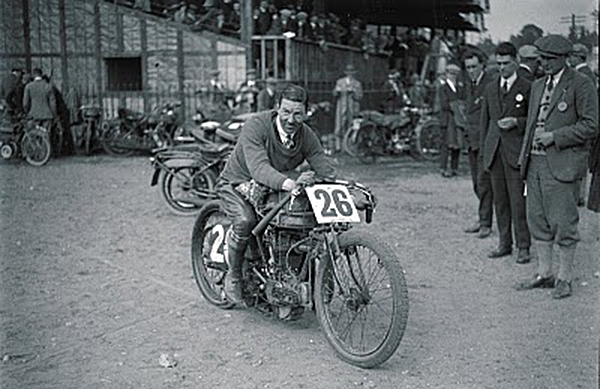 R.T. Grogan, 490cc Model 18 after winning the 1924 200 miles Solo Event at Brooklands. The next year saw another innovation, the overhead chain driven camshaft (OHC). This immediately brought an unparalleled year of success in racing; Nortons won the Senior and Sidecar TT, the French, Belgian and Ulser Grand Prix, the Italian Circuit de Cremona and several others. The Mayor of Birmingham held a civil banquet for the victors and once more “Pa” Norton was hailed as the hero of the day. But he was forced to watch the TT of that year from a chair, not having the strength to stand for the entire race, and it was his final public appearance. On 21 April 1925, James Lansdowne Norton died at his home in Sampson Rd, Birmingham at the age of 56. He was buried at Lodge Hill Cemetery in Selly Oak, Birmingham, England. Norton was never a large company, and their reputation was built on engineering rather than mass production. Despite the loss of the man who many considered the father of the British motorcycle industry, the company managed to stagger on primarily due to their reputation in racing. 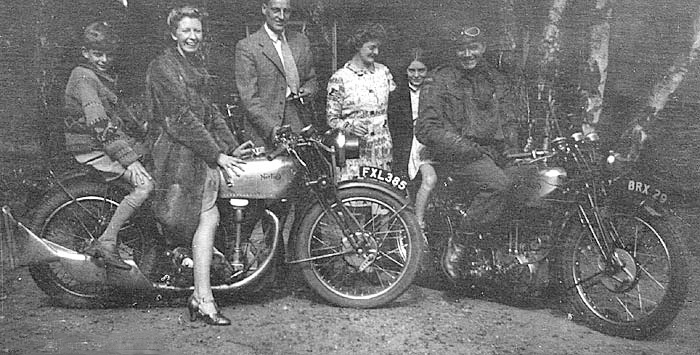 During the Second World War the company received major contracts from the government, and Norton contributed over 100,000 motorcycles to the war effort; afterwards they quickly turned their focus back to the public market and racing, dominating the Isle of Man races and others throughout the late 1940s and early ’50s. 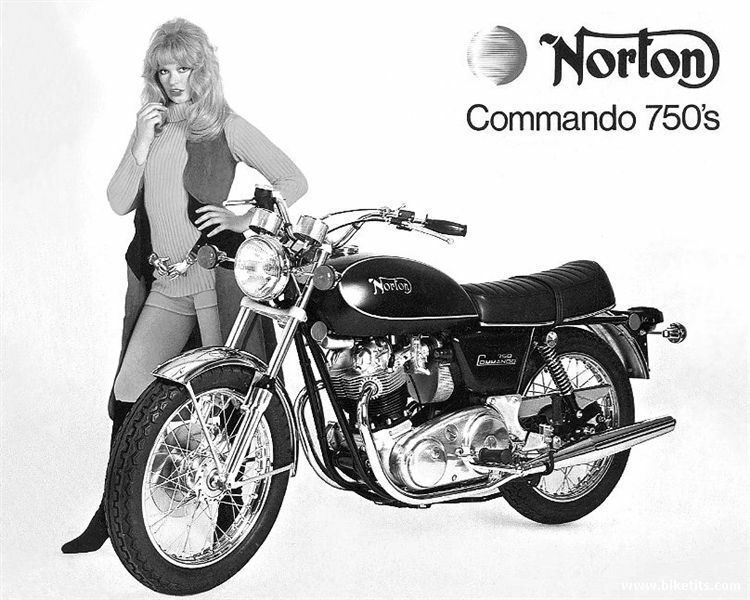 In 1968 Norton released the 750 Norton Commando, their last twin piston motorcycle but one of the best known models. 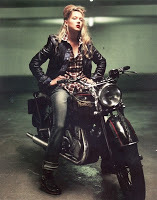 In 1953 the company was acquired by AMC, but along with BSA and Triumph Norton was devastated by the massive import of Japanese motorcycles into the U.S. market. In 1973 the British government intervened in an attempt to save the companies and forced the formation of Norton-Villiers-Triumph (NVT), which included BSA, Triumph, and the remnants of AMC including Norton. 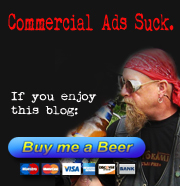 The merged company didn’t last into the 80s and it was eventually liquidated, leaving each brand to fend for itself. Norton spent the 80s and 90s in a series of battles over rights and ownerships. 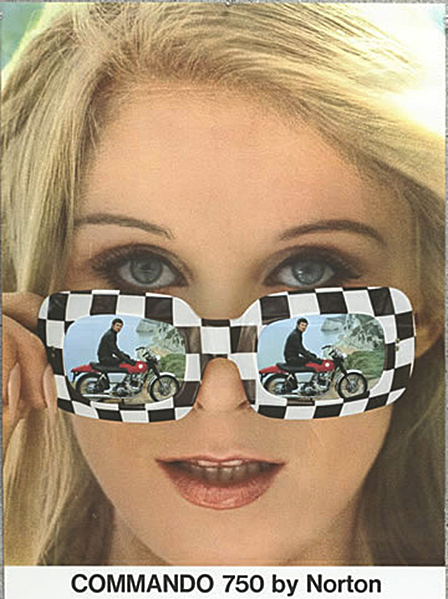 Numerous companies have attempted to revive it, most recently in 2008 when Stuart Garner managed to acquire rights to the Norton brand. Today Norton has three motorcycles in production, all based on the Commando 961 twin-valve 961cc fuel-injected parallel-twin engine.